What is meant today by housing shortage is the peculiar intensification of the bad housing conditions of the workers as the result of the sudden rush of population to, the big towns; a colossal increase in rents, a still further aggravation of overcrowding in the individual houses, and, for some, the impossibility of finding a place to live in at all. Furthermore, Engels’s views are percolated through his critiques of particular solutions to the housing problem proposed by political adversaries. His discussion in the Housing Question is organised around a discussion of the ideas of homeownership and bourgeois philanthropic provision, advocated by Mulberger and Sax respectively, and why they must fail. To update Engels’s analysis for the current housing crisis, we must, first, extract Engels’s most relevant points from their polemical context and, second, relocate them in mature capitalism, which is characterised by established cities usually devoid of industrial production. I focus on three, in particular, which, suitably updated, are most relevant for us today. The second concerns the imperatives confronting housebuilding capital in particular. While housebuilding capital may periodically find it profitable to provide working class housing, in rapidly developing cities working class housing depresses the value of land below its potential. As a result, it will periodically be torn down to allow land to be put to more valuable uses, leading to a recurrent under supply of working class housing. The growth of the big modern cities gives the land in certain areas, particularly in those which are centrally situated, an artificial and often colossally increasing value; the buildings erected on these areas depress this value, instead of increasing it, because they no longer correspond to the changed circumstances. They are pulled down and replaced by others. This takes place above all with workers’ houses which are situated centrally and whose rents, even with the greatest overcrowding, can never, or only very slowly, increase above a certain maximum. The third and final point drawn from Engels concerns the impact of a particular ‘solution’ to the housing crisis – working class homeownership – on workers themselves. Engels sees homeownership as a throwback to feudalism and cottage industry. Hence he focuses on limited labour mobility as the main risk to workers arising from homeownership, as tying workers to a particular locality would increase workers’ dependence on a particular employer. However, he also mentions two other risks, which are worth returning to today. One is that ‘workers must shoulder heavy mortgage debts’ in order to purchase a home, which would make them more vulnerable to exploitation by capital. The other is that homeownership would ideologically incorporate workers by inculcating individualist attitudes and ‘stifl[ing] all revolutionary spirit’. These three dimensions of the housing problem have been transmogrified and foregrounded in the present crisis. To see how, we first need to situate housing within contemporary, financialised capitalism. 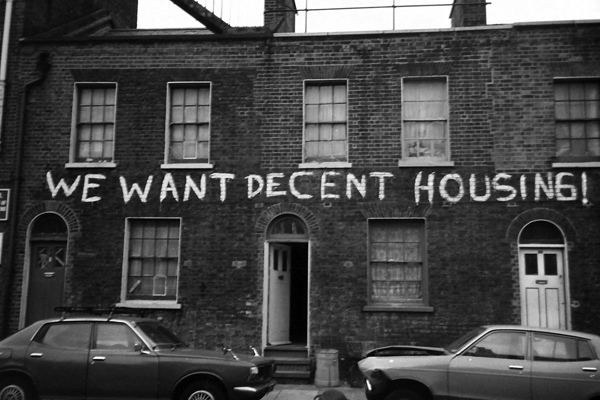 The origin of the present housing crisis lies in two developments in the 1980s: the privatisation of social housing and the liberalisation of mortgage markets. The former dramatically reduced the availability of affordable housing and pushed more and more people into the owner-occupied and private rented sectors. The latter induced a huge influx of credit into the housing market. This increased availability of mortgage credit expanded effective demand for housing, and drove up ground rent on residential land. Mortgage lending is a form of credit creation – it not only directs value in circulation in the economy towards residential land, but also expands the total amount of value in circulation. As a result of increased mortgage lending, then, a growing component of value in circulation in the economy is capitalized into land values. Because this ground rent is based on credit, it is volatile – hence the cyclicality of land and housing prices and their proneness to speculative bubbles. Nonetheless, the way in which finance has channelled value to residential land and driven up ground rents has meant that there are large profits to be made from speculating on land. As a result, land, and particularly residential land, has come to behave more and more like a financial asset, and the housing system is increasingly organised around the maximisation and appropriation of ground rents at the expense of providing decent housing for all. How have the aforementioned dimensions of the housing problem played out in this context? First, in the context of stagnating real wages, cut backs in social housing provision, and mortgage market liberalisation, mortgage credit grew exponentially to bridge the gap between wages and housing costs. However, this influx of credit chasing housing has fed dramatic and prolonged house price inflation. This has widened the gap between wages and housing costs, and exacerbated the contradiction confronting capitalists who want to pay low wages while having an adequately housed workforce. Reliance on credit has also injected housing with a new source of instability, as brutally demonstrated by the 2007-9 financial crisis. Second, the tension between land’s present use and its potential value under other uses has been heightened by credit-driven house price increases. Rapid house price increases have expanded the gap between actual and potential land values, fuelling the processes of speculation, dislocation and replacement that Engels sees arising from the pursuit of ground rent. Illustrations abound of ferocious and often state-led processes of gentrification, whereby, under the guise of regeneration, working class housing is cleared from valuable inner city land to make way for more profitable developments. Such processes are at the root of many contemporary housing struggles, with both Focus E15 and the New Era campaigns arising out of attempts to remove social housing from valuable inner London land. Indeed, in places like Newham there have been open and systematic attempts to export parts of its working class population to other parts of the country. Here we see the valorisation of land taking precedence over housing’s role in social reproduction or, as its more commonly put, housing’s exchange value dominating its use value. We can also see this occurring within housebuilding capital. Britain’s housebuilders are speculative, that is, they buy land and build houses on it without agreeing buyers in advance, which makes any change in land values between purchase and final sale a key determinant of their profitability. Inflated land values give housebuilders a strong incentive to focus on making profit through the capture of ground rent. This has had a negative impact on housing supply because it encourages housebuilders to sit on land while it accumulates value, rather than building out on it, especially in cases when expanding supply significantly will lower the value of all the land that they own. It is for this reason that we see housebuilders holding on to banks of planning-permissioned land, which is often used for speculation rather than building. Again we see that a system that treats housing more and more as an exchange value, is limited in its ability to provide housing as a use value. It is not just that speculation on residential land has intensified; it has also become more widespread, incorporating other types of capital and even workers. A dramatic development in the last thirty years has been the mobilisation of streams of payments for certain wage goods, including housing, into financial circuits through financial engineering. Securitisation allowed for the right to a stream of future mortgage or rental payments to be detached from the particular property that underpinned it, packaged up and sold, enabling international financial capital to appropriate ground rent through trading such securities. Such asset-fuelled speculation has become increasingly important to a British economy recently bereft of industry and dependent on its financial sector. It would be exaggerating to say that property speculators, mortgage lenders, estate agents, and the property booms that sustain them are the lifeblood of British capitalism, but they are certainly a vital organ. Workers have been implicated in this speculation through the spread of owner-occupation, which over the last thirty years has been elevated from being one among several types of housing provision to being the default tenure. But working class homeownership has not meant a regression to peasant-like existence, as Engels expected it to in his day. On the contrary, the promotion of homeownership has been bound up with the use of housing as an asset, as workers have been encouraged to adapt to financialised capitalism by becoming saver-investors. This process was compounded in the context of recurrent attacks on collective forms of welfare, as workers were encouraged to treat housing as a nest egg for retirement, the centre piece in an asset-based welfare system. Again, steadily rising house prices have a vital role to play in this system. The additional mortgage lending needed to move more people into owner-occupation drove up house prices, making housing look like a failsafe investment. This in turn attracted more people to owner-occupation. Thus, mortgage credit and the use of housing as an asset have been mutually reinforcing and the expansion of owner-occupation since the 1980s has encouraged the pursuit of ground rent by consumers. This brings us to the third dimension – the threats of exploitation and ideological incorporation arising from working class homeownership. A significant current within Marxist literature on the financialisation of households has emphasised the first aspect. For example, Costas Lapavitsas regards household mortgage debt as providing a new channel for financial capital to extract value from workers, in a process he terms ‘financial expropriation’. Lapavitsas’s analysis captures the way that, for some, homeownership has meant crippling debt and insecurity, the US subprime market being the paramount example. However, this is not the only, or even the dominant story. In the UK, where credit-fuelled, above-inflation house price increases have become the norm, a substantial portion of the working class has accumulated significant wealth through housing. For this portion, the ideologically pacifying character of homeownership foreseen by Engels has acquired a material foundation in form of often substantive capital gains accruing to working class homeowners – property ownership’s stifling of revolutionary spirit will be all the more powerful if workers fear losing an appreciating asset. Both of the problems that Engels saw arising from working class homeownership are therefore realised with renewed vigour in the contemporary housing system, as the spread of owner-occupation has been a highly uneven and divisive process. The result is that housing has become an increasingly important source of social division, with contours emerging between secure and insecure homeowners and between those on and off the housing ladder. Across these three dimensions, then, the housing problem is accentuated in the era of financialised capitalism. So what to make of recent housing struggles in light of this discussion and Engels’s insistence that labour, not housing, must be the catalyst for social change? Do the novel characteristics of the housing problem today endow housing struggles with more or less transformative potential? 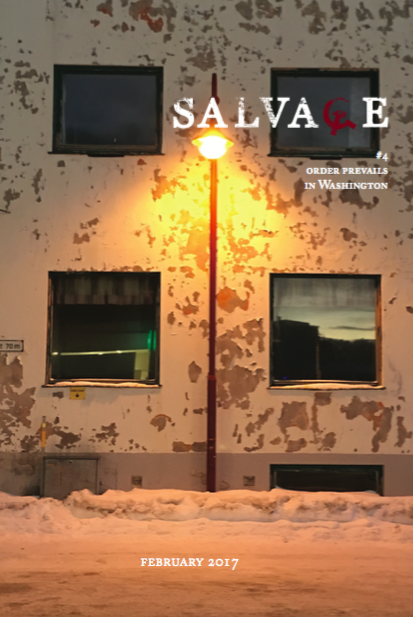 Although the housing problem takes evolving forms, its recurrence reflects the essential role of housing in social reproduction. Engels is right to see the tensions in social reproduction as a facet of the contradictions that beset the capitalist mode of reproduction, but we would be wrong to dismiss the transformative potential of housing struggles on this basis. Four features of the modern housing problem point to housing’s importance as a site of struggle. First, housing is fundamental to social reproduction, but the growth of the primary and secondary mortgage markets have also embroiled housing in financial circuits. With these financial circuits holding increasing sway over the economy as a whole, housing emerges as a concretisation of one of the core contradictions of contemporary capitalism: that between real and fictitious value. The disruptive potential arising from this status was dramatically demonstrated by the world-shaking events triggered by the sub-prime crisis. Second, the pacifying effect of working class homeownership needs to be weighed against the increasing inequality that widespread homeownership is giving rise to. Housing reflects and reproduces class relations, but it can also transform them by fragmenting or reconstituting class consciousness. We see this in Engels’s fear that working class homeowners would be co-opted, something compounded today by the material gains that have come to be associated with owner-occupation. But the wealth accessed through owner-occupation has been unevenly distributed, making housing an increasingly important source of social division. The counterpart to a section of the working class reaping large capital gains from their housing is: rising homelessness; the decimation of social housing provision; a growing section of the population dependent on an over-crowded, over-priced private rented sector; and a generation saddling themselves with debt in a desperate bid to grasp the bottom rung of the beguiling housing ladder. The recent surge of housing activism is a sign that, for these groups, the experience of housing exclusion is radicalising. Furthermore, the recent March for Homes suggested that they are starting to see their experiences as inter-related. Third, class is not the only dimension of social division with which housing interacts in important ways. It also intersects with race, gender, and even generation, all of which are implicated in progressive struggles today. A long-established symbiosis between housing and racial division finds modern expression in the often racialised dimension of gentrification, whereby second- or third-generation immigrant communities are priced out of inner-city areas in which they have lived for decades – witness Notting Hill in the 1990s or Brick Lane and Brixton today. The prominence of women has been a notable feature of recent housing campaigns. Both Focus E15 and the New Era campaigns were not only led by women, but gained traction in part by demonstrating an overt commitment to female empowerment. While its force is mitigated by the intertwining of housing and inheritance, there is growing recognition that housing inequality has a generational dimension, reflecting the capture of the bulk of housing wealth by the baby boomers. Finally, casualised, short-term, and unskilled labour are constituent of financialised capitalism and have made work-based organisation more difficult. Under such circumstances, we should not rule out the possibility that housing becomes correspondingly more important as a site of collective action. Today’s housing movement is being led by people who have grown up in an era in which trade unions, hamstrung by repressive legislation, struggle to organise in a workplace that is increasingly transient and unstable. The strength of the movement is an indication that, in these conditions, housing can become the primary source of community and solidarity, and a site for collective action. But one thing is certain: there are already in existence sufficient buildings for dwellings in the big towns to remedy immediately any real “housing shortage,” given rational utilization of them. This can naturally only take place by the expropriation of the present owners and by quartering in their houses the homeless or those workers excessively overcrowded in their former houses. Immediately the proletariat has conquered political power such a measure dictated in the public interests will be just as easy to carry out as other expropriations and billetings are by the existing state. The return of housing activism is galvanising the left for good reason. Because of its location in contemporary capitalist dynamics, housing has the potential to act as a catalyst for broader change. But, to succeed on its own terms, the movement must see that the housing crisis is rooted in these same dynamics, and use housing as a basis for a wider programme of transformation.